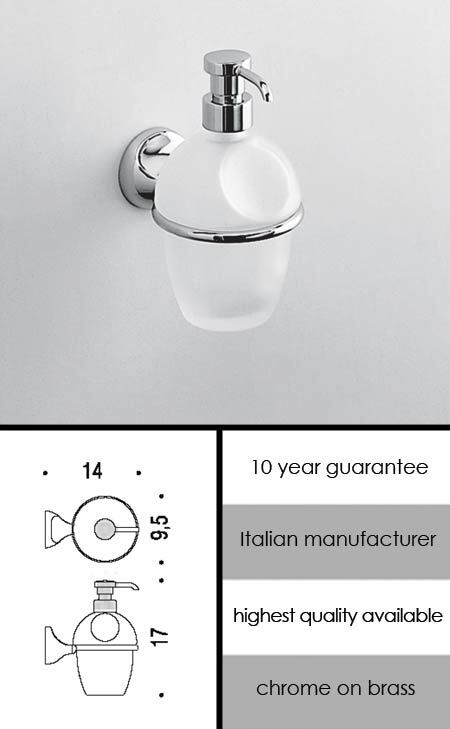 A high quality chrome and frosted glass soap dispenser with a pump action for measured soap delivery. This luxury pumped soap holder is part of a larger designer bathroom accessories collection that is considered the best quality in the UK. We have been selling this collection for nearly ten years and have never had a quality or corrosion warranty claim. * Glass & chrome on solid brass.